Entertainers are not the only people that depend on their voice to make a living. In any face-to-face setting having full control of your voice without any of the defects can make things go more smoothly. General aggravation related to voice issues not only affects your way of life, but can also lead to a lot of discomfort throughout the day. At Santa Cruz Ear, Nose and Throat Medical Group, we understand the importance of your voice health and day-to-day functions. We have a staff of professionals ready to assist you with any issues you might be having. Common voice related complications include acute laryngitis, chronic laryngitis, laryngopharyngeal reflux disease and throat cancer. The complications can be minor overuse or a serious condition, so finding out where you are on the health scale should be the first step. Some of these tips are easier to follow than others, especially when it comes to overuse of your voice. Like any body part, overuse will wear out a voice and make it lose its effectiveness. During the healing period you will experience hoarseness and even a change in pitch of your voice. The good news is that unless you are screaming at the top of your lungs for hours at a time, your voice is very much going to be intact. Talking in a certain pitch for extended amounts of times per day may also aggravate your voice. This is more likely to happen to someone that does public speaking for hours a day. Avoid overusing your voice in situations where it is already weakened during other illnesses. Besides weakening your throat and exposing it to more infection, there is also a chance that you’ll make the recovery time twice as long. Dehydration is a concern while sick and can rapidly decline the health of your voice. Staying hydrated is still a tip even if you aren’t sick. Drinking the recommended six to eight glasses a day will help more than your voice. Water sapping materials like alcohol and caffeine can really play havoc with your voice if you are already guilty of skipping out on the daily dose of water. Alcohol in particular can be damaging to the voice, as it irritates the throat. Humidifiers are mainstream and very cheap in price, making them very useful for maintaining 30 percent humidity in your home where climates are less than ideal. Being healthy in general will help your voice, and while it may sound cliché, diet is a huge part of that. Vitamins A, E and C are beneficial to the mucus membranes that are vital to throat health. Practice washing your hands for 30 seconds to a minute in order to get rid of any and all bacteria. Heartburn and GERD can cause serious damage to the throat and is associated with more serious problems unrelated to your voice. 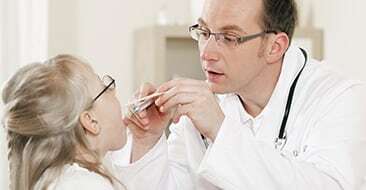 Medicine can help or harm the voice depending on how you utilize it. A sore throat related to the cold or flu may require taking medicine that dries out the vocal folds. Medicines that fall within this category are some over the counter cold and allergy medications, so be very careful in your choice. Your doctor will be have a better chart of what medicines are best to keep from drying out your throat. Mouthwash with alcohol can completely irritate the throat for an entire day if you gargle with it often. There are alternative non-alcoholic solutions that work even better and come highly recommended. Overuse of your voice may lead to chronic coughing. Clearing your throat actually damages your voice, so if you find yourself doing it daily then serious damage is being done. Be aware if you are experiencing symptoms of laryngitis, as it is contagious if caused by an infection. Medicine may be prescribed for it, but that doesn’t change the fact that staying hydrated is going to be your #1 weapon when it comes to healing your throat. Prescribed medications will help, but will not get rid of the necessity for keeping water flowing through your system. Patients should expect inhaled steroids, antihistamines and antibiotics to be at the frontlines of medicines to combat voice problems. No one ever said that smoking improves your health, and unfortunately that isn’t going to happen. In many ways the nicotine in cigarettes abuses your vocal cords and can lead to irreparable voice problems and even cancer. The way your voice works and sounds can change rapidly over the years if you are a smoker, even if it is for recreational purposes. Laryngeal cancer is a big deal due to the symptoms, with the biggest being hoarseness of the voice. To a typical person that doesn’t smoke this can just be a sign of vocal cord overuse. For a smoker, the meaning can be something much more complex and different. For changes in your voice that are in excess of two weeks, smokers should contact a doctor to see if the issue is serious. Smokers can also cause problems with non-smokers due to second hand smoke. Prolonged exposure to second hand smoke is about as dangerous as smoking itself, and carries similar penalties. For non-smokers that suffer from asthma or obesity, this can be a big issue in the long term. Other complications that can arise from second hand smoke are GERD complications and airflow issues with the lungs. So how do you stop smoking and completely kick the habit? There are many people that have thrown their pack of cigarettes out of the window and vowed never to smoke again. This isn’t the norm for everyone, and relates to such a small percentage that it should be criminal to suggest it as an option. The suggested tips below are much more practical in stopping a habit that could end your life. There is no wrong way to quit smoking as long as it works. Even if you fail, it’s important to keep trying until you get it right. Don’t give up, and don’t lose sight of your goals. Taking care of your voice is important, however; sometimes complications are unavoidable. If you are experiencing issues with your voice or are having consistent pain in your throat, contact our office today to schedule an appointment with one of our qualified and caring professionals.